You will need to fly to Male in the Maldives. Our in-house flight team will be able to help with you with this. The accommodation is either the NGO hostel or a homestay in the local community. Do many people join the program alone? The majority of our Camp Maldives applicants travel alone; it’s an amazing opportunity to meet incredible people and make friends for life. What's the currency in the Maldives? The currency of the Maldives is called the Rufiyah, which is linked to the dollar at around 12.75 Rufiyah to the dollar. However, most resorts and many local islands will accept the US dollar (bring small denominations such as $1, $5 and $10) as payment. Wifi at the NGO is limited and can drop off and can be used for emails only, not for downloading. If your phone is unlocked, you can purchase a Data Package on the island. Stage 1: Apply! We need certain information so we can assess your application. 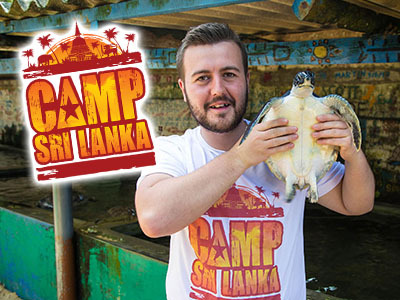 Once you have applied for Camp Maldives one of our lovely team member will be in contact. They will give you all the required information, answer any questions you may have, and tell you about their amazing personal experiences at Camp Maldives. Stage 2: If accepted onto the program, all you need to do to secure your place is pay a £99 deposit. This confirms your spot and you don’t need to pay the remaining balance until 8 weeks before you leave to Camp Maldives. Welcome Pack: Once your deposit is paid we will send you a welcome document, confirming your place and giving you next step information, detailing everything we need to organise before you arrive. Flights and Insurance: We will then pass you over to our flight partners. They will be in touch to help you arrange these and give you some great deals. Once you do book your flights remember to send us your itinerary so we can arrange your pick up. Visa & Vaccines: You will have to make sure you have the correct visa and required vaccines for your Camp Maldives placement. We will be in contact at the appropriate time to advise. Pre Departure Pack: Before you fly, you will receive information about packing lists, pick up arrangements and your in country orientation. To partake in the program, you must be aged 18+ and have a clear DBS check. Moreover, a passion for adventure and helping less fortunate communities is essential.